One measure of a good cook is how skillfully he blends seasonings to bring out the optimum flavor of foods. 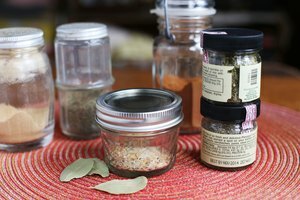 While a correct blend of seasonings enhances a dish, combining the wrong seasonings can destroy a meal. 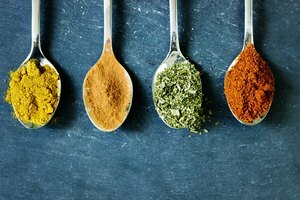 Two common forms of seasonings are herbs and spices. Consumers often use the terms interchangeably. Both come from plants, but not from the same part of the plant. Some plants provide both spices and herbs. Kitchen gardeners grow their own herbs as houseplants or in the garden. From these small, non-woody plants, leaves provide flavor and aroma to recipes. Common herbs include sage, oregano, thyme, mint, rosemary, basil, chives, parsley and marjoram. Use the herbs fresh, or dry the herbs to preserve. One way to dry herbs is to snip off a bunch of leaves and hang upside down, in a dry, dark area. If using your own homegrown herbs, don’t use pesticides. Rinse the fresh herbs before adding to a recipe. Dried herbs are readily available in the dried spice section of the grocery store, while fresh herbs are located in the store’s refrigerated produce section. Like herbs, spices come from plants. Unlike herbs, spices come from woody as well as non-woody plants. Instead of the leaves, spices come from a plant’s fruit, seeds, roots, flowers or bark. 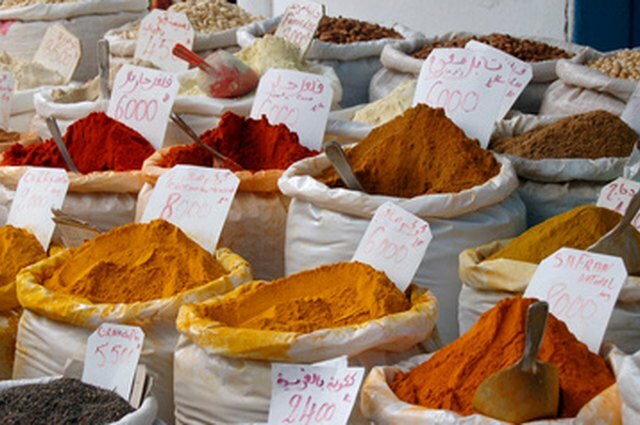 Plants used for spices tend to come from warm, tropical areas. 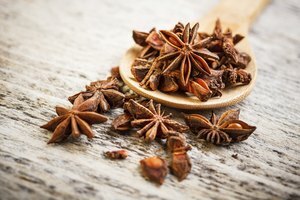 Familiar spices include cumin and nutmeg, both made from seeds; cinnamon, made from the cinnamon tree’s bark; vanilla made from an orchid's undeveloped fruit; ginger, made from a root; and cloves and saffron, both made from the parts of a flower. The fact that salt and pepper shakers are standard on most dining tables, indicates that both are popular, widely used seasonings. While pepper is a spice, salt is a mineral. Culinary salt types available to the consumer include iodized salt, salt kosher salt, sea salt, smoked salt, rock salt, pickling salt, Hawaiian sea salt, grey salt and black salt. Cooks use flavorful sauces and marinades to add seasoning to food. This might include soy sauce, tomato sauce, Worcestershire sauce, barbeque sauce or hot sauce. 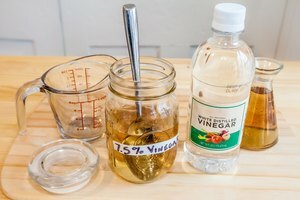 Wine, sherry, lemon juice and vinegars also add flavor to some recipes. 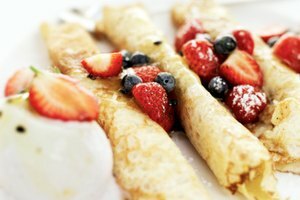 To sweeten recipes, use sugar or honey. When preparing some ethnic dishes, such as Chinese food, look for prepared sauces, such as Chinese chili sauce, to season food properly. Other options include, satay sauce or hot bean sauce. 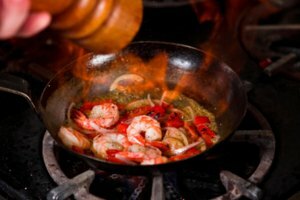 Cooking foods in flavored oils will also impart flavors to the final dish.